Is The New PlayBook OS Still Out-Of-Step With Shoppers? Netfix isn’t doing RIM any favors. 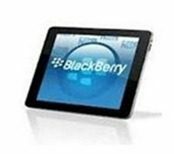 Research In Motion (RIM) is making a bold attempt to give it’s BlackBerry PlayBook tablet a second chance at success. The 7 inch tablet was launched back in April of last year. But for many reasons, it was not well liked and has not sold well. RIM is trying to rectify that by updating the PlayBook with a new OS. The update will include many of the features that were inexplicably missing when the tablet first came out. “@netflixhelps @netflix @netflix_CA where is my #playbook app? You’ve had enough time and no more excuses! Thanks!” tweeted Jon Robinson. “We don’t have any current plans to support Blackberry devices, including Playbook.” Netflix responded. But Netflix isn’t the only entertainment option missing on the PlayBook. It doesn’t have support for Hulu Plus or Blockbuster Online either. We have to wonder if the primary purpose for buying a tablet may be shifting under RIM’s feet. BlackBerry is famous for business applications, not entertainment. When the PlayBook launched, what most people felt was missing in the PlayBook where the BlackBerry business apps. Now… people want entertainment. Tablets have become meccas of entertainment. Whole entertainment ecosystems are being built around tablets, the Kindle Fire being the prime example. Has RIM missed the boat? Not having business apps when people wanted them. Then updating their tablet with the long awaited business apps – just in time for everyone to want entertainment apps? Only time will tell, But this should be a heads up to Meg Whitman over at HP, who just announced HP will be launching a new tablet this year – one that is designed for use in the business world.